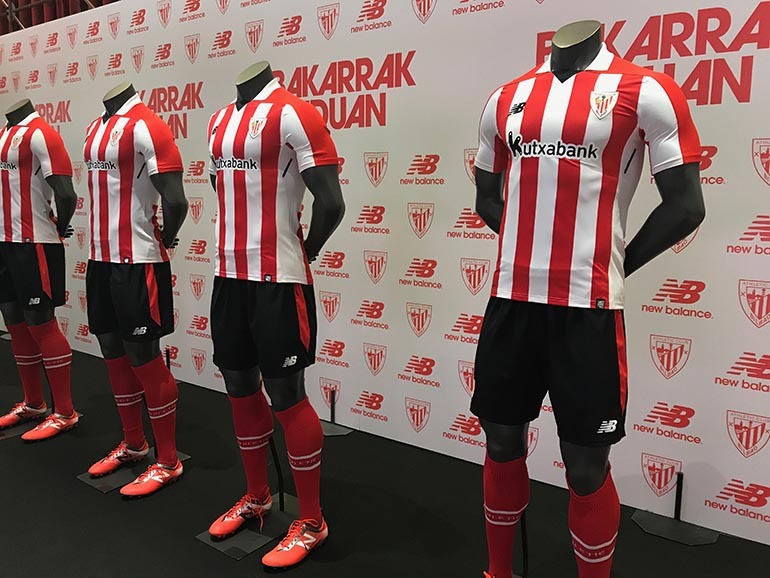 Athletic Club releases new 2017/18 home, away & third kit. 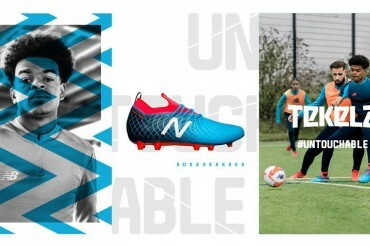 ‘Unique in the World’- the perfect tagline to describe New Balance partnership with Athletic Club. 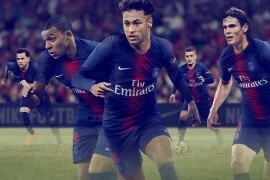 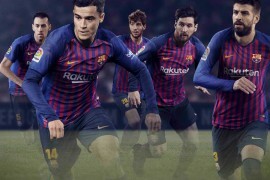 A new partnership comes with a fresh new kit design for the new season, with New Balance dropping the Home, Away and Third kit to an excited crowd at the San Mamés Stadium. 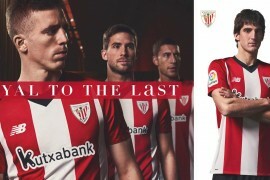 The brand new home kit features the iconic Athletic red and white stripes, something Athletic Club has kept throughout their history. 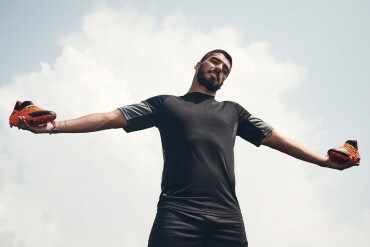 Starting with a very smart, white flat knit rib collar sits on the top of the jersey, with a embroidered full-colour Athletic Club crest below with the NB logo opposite. 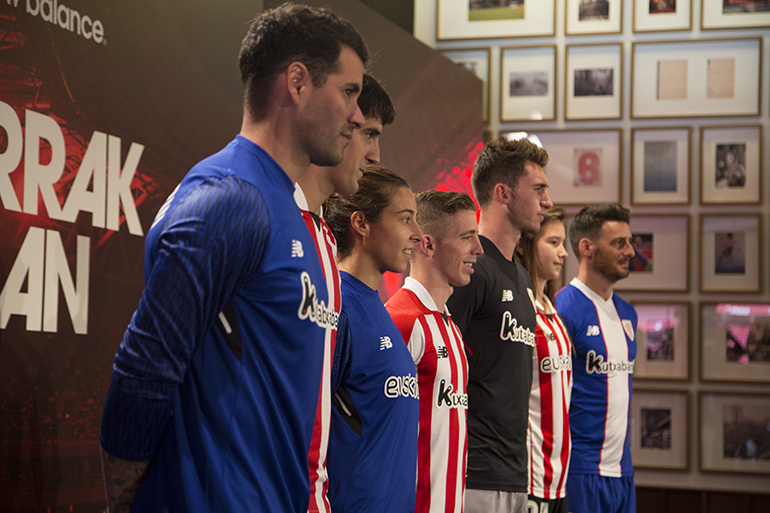 One important feature with the new kit is the addition of the Ikurriña flag on the back of the neck, which was a must-have for the fans of Athletic, being seen as something very special to everyone involved. 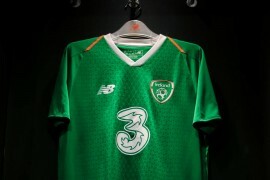 The home kit is completed by black shorts with athletic red streaks down the sides, and red socks. 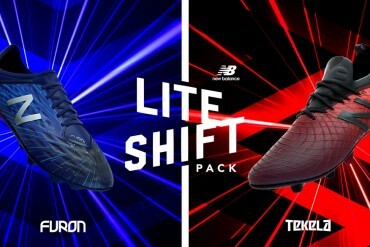 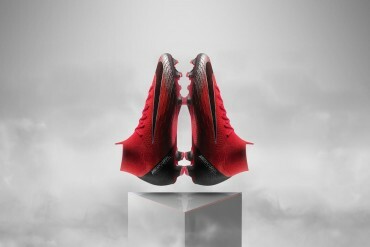 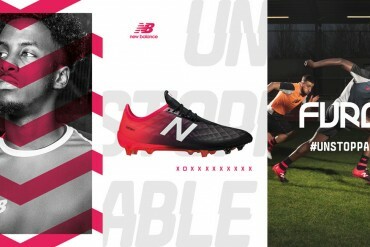 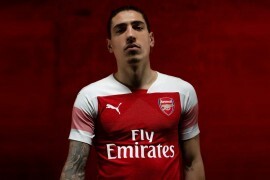 New Balance also released the away kit, which holds a solid black base splashed with dashes of Alloy and Athletic Red. 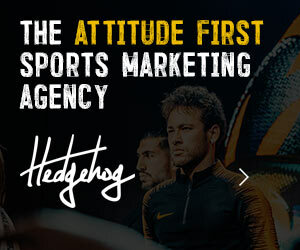 A design inspired by the great Athletic teams of the 1940’s. 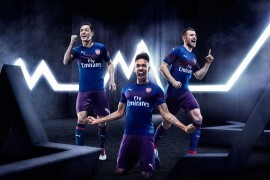 The kit’s shorts are fully Alloy with red and black streaks on either side and the kit is completed with black socks. 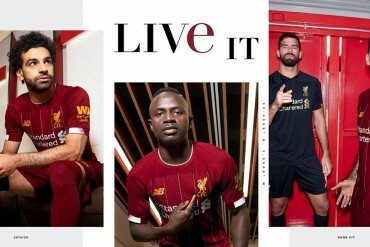 No wait, it doesn’t stop there! 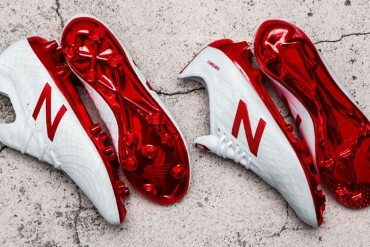 New Balance also completed the trio by releasing the Third Athletic kit. 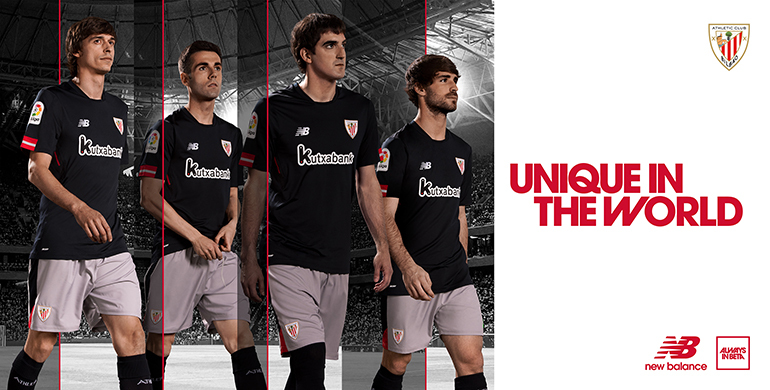 The third strip pays tribute to legends of the past who won the club’s first Copa title in 1903. 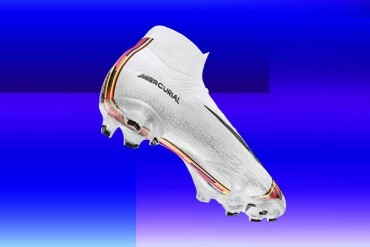 Key design features include the ribbed v-neck collar and embroidered full colour woven Athletic Club crest and NB logo on the chest. 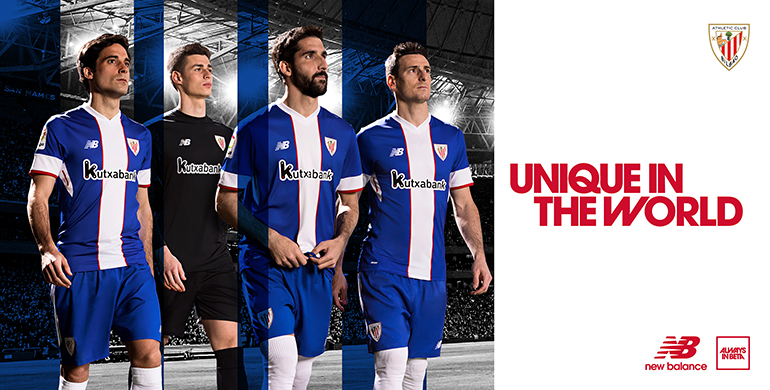 The shirt features UV blue and white stripes with fine red striped detailing; the kit’s shorts are fully UV blue with white streaks either side.